DiRT explains why the show is late, says he’ll keep it short but then goes to 32 minutes, and because YOU asked for it - NO RAW SPOILERS! DiRT is back to take an epic near 40 minute look at the worthless PPV known simply as The Bash, and the pointless Monday Night Raw that followed it. “Rage in the Cage” on Smackdown! Wrestling Radio begins here with our look at the commercial free edition of Trump RAW! 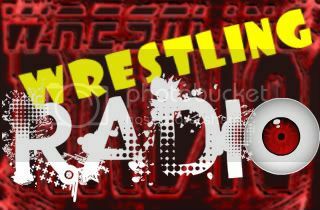 It’s the final episode of Wrestling Guide Radio! Wait… What?! Get your Smackdown coverage as well as the scoop on our NEW show! DiRT is back to look at the 3-FOR-ALL edition of Monday Night RAW for Wrestling Guide Radio! DiRT is back to take a look at Friday Night SmackDown! And (hopefully) the final word on Umaga!